With one signature, President Donald Trump has dealt a major blow to Iran's already struggling economy. Trump's decision to walk away from the nuclear deal is likely to cost Iran billions in foreign investment, slash growth, deter tourists and deprive its citizens of business opportunities. "This is a setback on many levels," said Hassan Hakimian, director of the London Middle East Institute at SOAS. 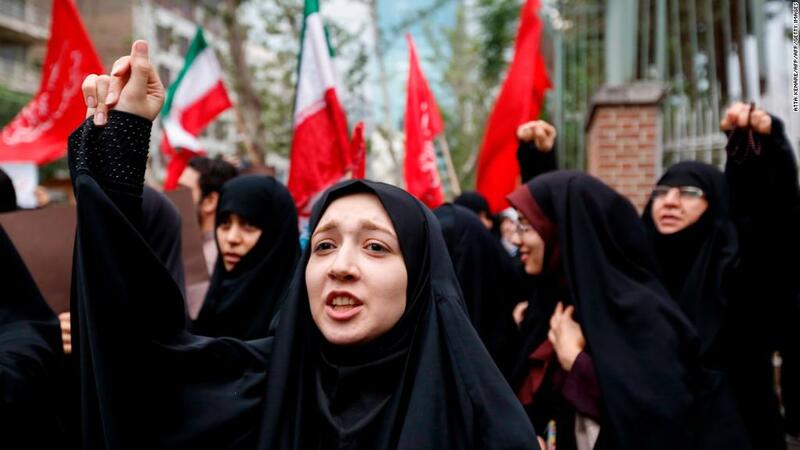 "It is bound to be disappointing in terms of the impact on the economic prospects for Iran, and particularly the youth." Analysts had expected a major economic boom in Iran after sanctions were lifted in 2016 in return for Iran rolling back its nuclear program. While that never quite materialized, increased foreign investment and tourism did help support a fragile economic recovery. Economic growth spiked to 6.5% in 2016 after declining by 1.6% the previous year. Inflation fell back into single digits in 2016, oil production surged and the International Monetary Fund was forecasting a rise in living standards. "People felt the benefits of the deal for sure [but] perhaps not as much as they were hoping for," said Hakimian. Then came a retreat: Growth slowed to 3.3% last year, unemployment nudged up and inflation popped back above 10%. The Iranian rial has plunged against the US dollar in recent months. The currency has lost nearly 23% of its value over the past year, and media reports suggest the decline has been much steeper on black market exchanges. Analysts said that Trump's harsh rhetoric had scared away potential investors, way before his announcement Tuesday that sanctions would be reimposed. "Uncertainty about the survival of the deal effectively killed any appetite of European businesses to risk market (re-)entry in Iran," said Adnan Tabatabai, CEO of the think tank CARPO. The IMF was expecting Iran's economy to grow by 4.3% this year and by 4.5% in 2019. Analysts said Trump's decision to exit the deal makes those figures unrealistic. "At the very least, the IMF figures now look very optimistic," said Jason Tuvey, Middle East economist at Capital Economics. "The Iranian rial is likely to weaken, pushing up the cost of imported goods and causing inflation to rise." The sanctions will restrict Iran's energy exports and isolate its struggling banks. Foreign companies doing business in Iran will have to wind down operations or risk penalties. The blow could be cushioned if Germany, France and the United Kingdom stick with the deal and encourage their companies to do the same. "This time it's different, because there is no consensus, it is not taken for granted that other countries will also impose sanctions," said Hakimian. Still, companies are likely to stay away from Iran because of the legal risk. "The global reach of the United States should not be underestimated, and company concerns of running afoul of sanctions are very real," said Jon Rigby, an analyst at UBS. Related: Can Europe keep doing business with Iran? One key sector to watch is tourism. European airlines including British Airways and Lufthansa (DLAKF) resumed direct flights to the country after sanctions were lifted, and Iranian authorities relaxed visa requirements. 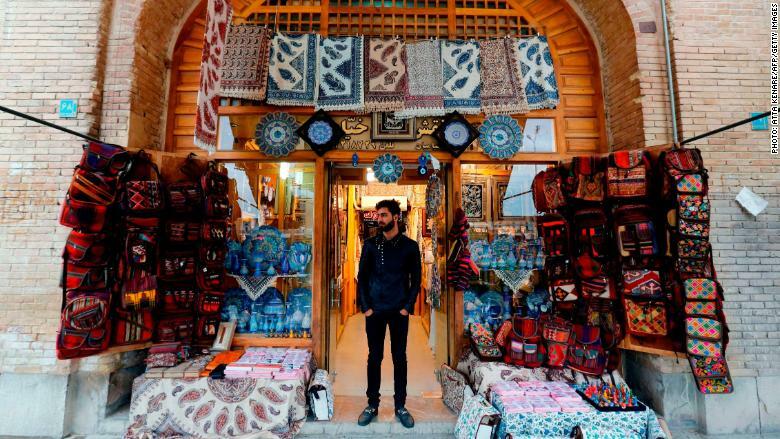 The number of visitors to Iran increased dramatically, with tourist arrivals recently averaging roughly 50,000 a month, according to official statistics. New sanctions put that progress in jeopardy. Last week, the UK Foreign Office warned tourists about the increased risk of demonstrations "targeting Western interests" ahead of Trump's announcement on sanctions. Iranian officials are putting on a brave face. Valiollah Seif, the governor of Iran's central bank, says the country has enough foreign currency on hand to fund purchases of basic commodities and raw materials. "Whatever the decision of the United States, it's not going to disrupt our economy," he said Tuesday, according to the semi-official Mehr news agency.